Drawing on client dreams and time-tested design traditions, the mission of Capstone Custom Homes is to construct high quality, distinctive, energy efficient homes with special emphasis on sustainability and fine craftsmanship. 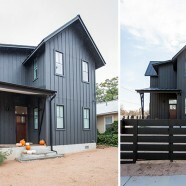 Hatch Works is a design and build company specializing in unique homes and structures: anywhere from classical Victorian to ultra-modern. Lantana Homes is a true custom builder, which means limitless choices in design, selections, and materials. We offer sustainable products, innovative building techniques, top quality materials and meticulous craftsmanship for each of our homes. We believe that building or remodeling your home should be an enjoyable, exciting process. At Soledad Builders, we create beautiful, life-specific homes at an exceptional value. Your home is your retreat, the space where your life happens.